For the eight years beginning in 1999 and running through 2007, my lovely wife and I hosted a total of ten ‘Fling’ events here in the Sierra Foothills. Eight of the events were held in May and were dubbed ‘Spring Fling’. The remaining two were held in September and were dubbed ‘Fall Fling’. These were events hosted for members of the Sabre/Magna (SabMag) internet mailing list, which I had joined in 1994 after I acquired my 1985 V65 Sabre. 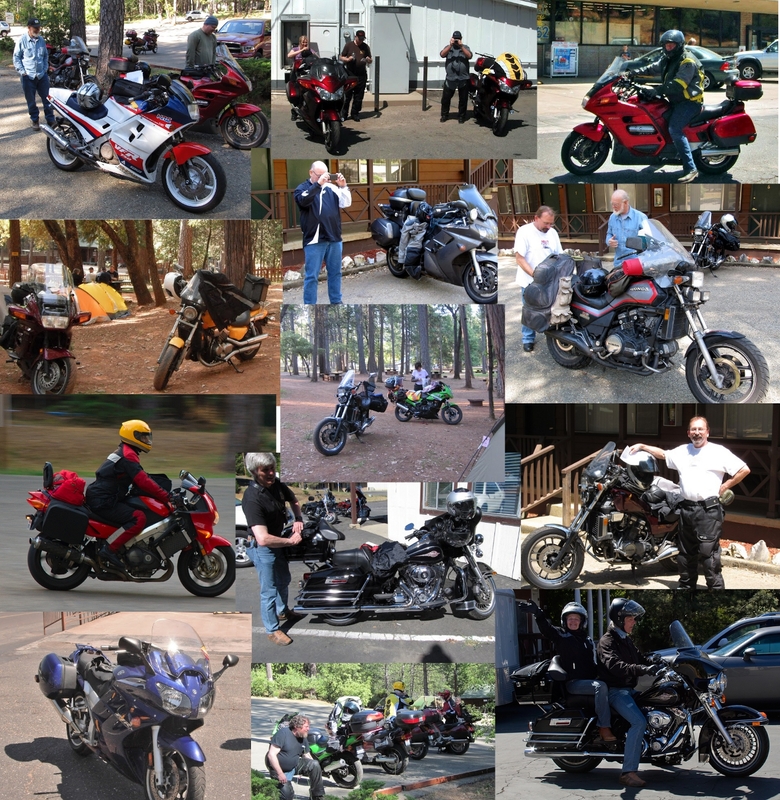 Attendees at these events rode their motorcycles from points far and wide, ranging from the East Coast in Massachusetts and Ohio, Toronto and British Columbia and Canada, Colorado, Oregon, Washington, and Arizona. Many rode through inclement weather ranging from roasting heat to ice storms, thousands of miles across unfamiliar territory. All to spend a short weekend with us, to enjoy our roads and each others’ company. 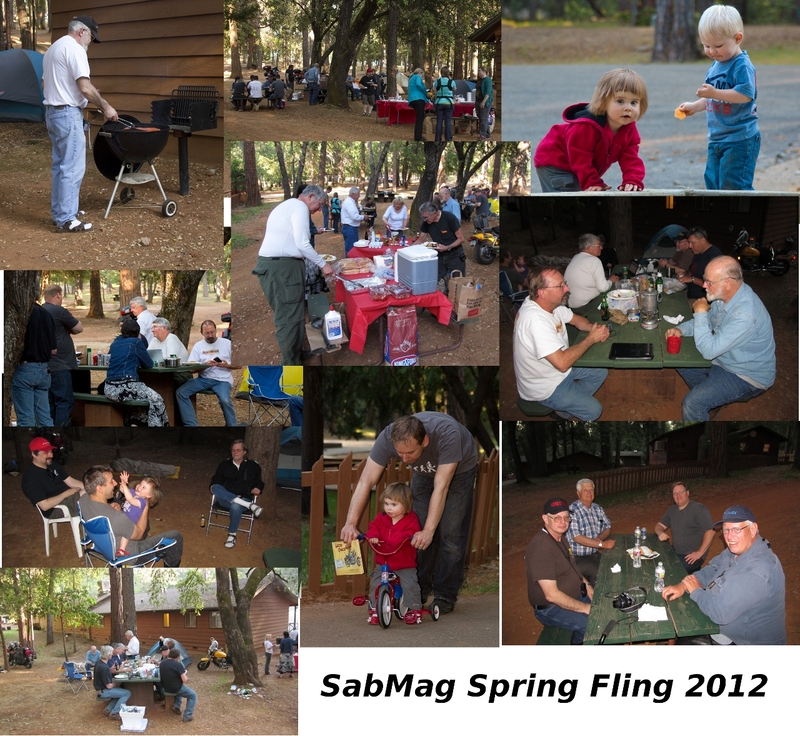 To enjoy the SabMag West Spring Fling experience. The memories of these events are treasured by everyone who attended; but especially by your hosts. 2012 – Return of the Fling! Late in the fall of 2011 I was asked – as I had been many times since 2007 – “you going to have a Fling next year?”. I don’t recall who asked the question; but I do recall that I responded with something like “we are thinking about it”. I pinged ‘the list’ and a couple of other online forums and got a resounding positive response. The masses did indeed want another Fling. A brief conversation with the wife and it was on. I contacted the venue for the last half-dozen Spring Fling events, which had changed names a few times since the last one. They were willing to setup a ‘reservation list’ for us, and to block off the motel rooms and several tent campsites for our SabMag group for the weekend. Cool. The SMW Spring Fling was on the comeback trail! The winter months up here in the foothills of the Sierras offer few opportunities to really enjoy a motorcycle (although the winter of ’11/’12 was a mild one), so I had extra time to try and come up with a route for the Fling Ryde that would remind the returning folks of the fantastic roads around here and give newcomers some fun as well. One of the criteria for the date chosen for the event – the weekend between Mother’s Day and Memorial Day – is that it is also the weekend of the annual Calaveras Frog Jumps. Why? Well, because that event is held about 45 miles south of us, and most of the ‘officers’ will be down that way patrolling for over-imbibed operators of that ‘other’ brand of motorcycle. So the roads we would be on would be relatively trouble-free. The other primary reason is weather. It can get very hot here during the summer months, and quite chilly in the early spring. Neither is very pleasant for two-wheeled activities. This year the weather was absolutely perfect! So now we had a plan, and as the date grew closer the event took a very nice shape. 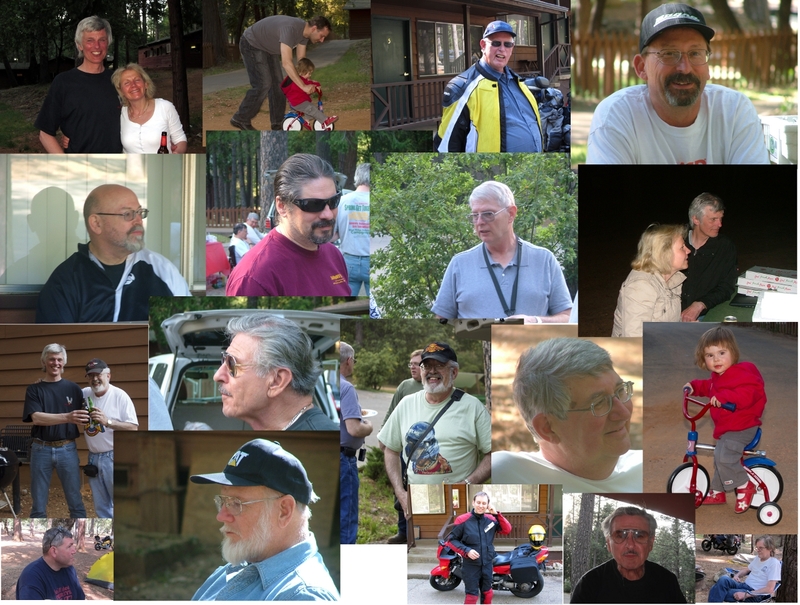 Not only would many past attendees be present; but we would have some new blood as well – and not just guys riding down from the Pacific Northwest, or from the Southwest, or from the East. 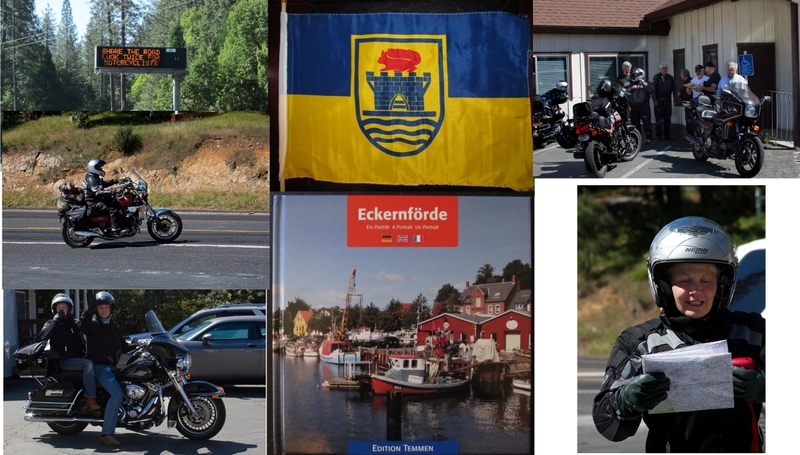 This time the Spring Fling would play host to a couple who were flying over from Germany to take a motorcycle tour of California which would include our event! Perhaps surprisingly, a majority of the bikes at the Spring Fling Revival were actually Honda V-4’s! We had three V65 Sabres, two V65 Magnas, two VFR’s, one 750 Magna, three ST1100’s and three ST1300’s along with the CBR1100XX (Blackbird). From other brands we had a Kawasaki Ninja 500, three Yamaha FJR1300’s, and the big Harley rented by Fred and Irene from Germany. Oh, and as he has for years now, Don P. attended the event driving his Miata. The ride was fantastic, partly because Mother Nature blessed us with perfect riding weather, and mostly because this is just a very competent group of riders. As always, the ‘fast’ guys missed a turn or two (or didn’t listen and got it wrong); but everyone made it to the two key stops – at lunch and at the end of the day. I had volunteered to lead the ‘tourist group’, as I get to run these roads all year and – being the host – I wanted to make sure everyone got through the day safely. I waited for about ten minutes at one particular spot (the turn onto Ridge Rd. off of Hwy 26), with encouragement from others who flew by on their way to the first break in San Andreas. Then I headed back to find our guests of honor, which I did after backtracking about five miles. Turns out they were fine, just wanted to take their time, stop for picture opportunities etc. They had a GPS, and would meet us at the lunch stop (which they did). So now I’m a good fifteen miles behind, and had the pleasure of ‘wicking it up’ to catch the rest of the gang at the first break. They were still there, and it turns out I was only about five minutes behind the last arrivals. Love my VFR! We rode through hills and forests, across some beautiful rolling plains, and around a couple of the beautiful lakes and reservoirs here in Gold Country. Then we headed back to our ‘home base’ for the Fling Feast. The Feast is a highlight of the weekend. Doe and I bring plenty of food and beverage, along with trusty Weber kettle to do the cooking. Everyone can relax now. Tomorrow most will head home, some with multiple days on the road before they reach home. But tonight we party and enjoy the company of a couple dozen of our closest friends. This year we again had marinated chicken legs, spicy and mild sausages, and several types of salads for everyone to enjoy. And enjoy they did! fabulous people, we will never forget! Hope to see you again, maybe in Germany? You’re invited from our heart. Special thanks for the wonderful rose! It was a great event Ron, Mucho thanks to you and Doe for hosting. It was great to renew old friendships and relive past Flings.